Using e-Government tools for provision of administrative services simplifies business operation, improves investment attractiveness, significantly streamlines permitting procedures and increases their transparency. Taking into account the importance of the access to the environmental information and long duration of environmental permitting procedures, which could last from 2 to 12 months in Ukraine, the introduction of electronic tools in environmental permitting is very important. According to the latest UN’s survey E-Government Survey 2014, electronic application for environmental permits is among top 10 electronic administrative services in the world and is available in 40 countries. For instance, electronic applications for different environmental permits could be used in Estonia, Great Britain, Denmark, Ireland, Canada, US etc. Pilot projects on electronic environmental permitting procedures were also realized in Italy, Greece, Turkey, Serbia and Croatia within eEnviPer project. In Ukraine the work on the introduction of electronic administrative services and in particular electronic applications for obtaining environmental permits has just started. It is planned to build the system of electronic services within the network of existing administrative services centers and to integrate all pilot e-services projects into a single state online administrative services portal in the future. 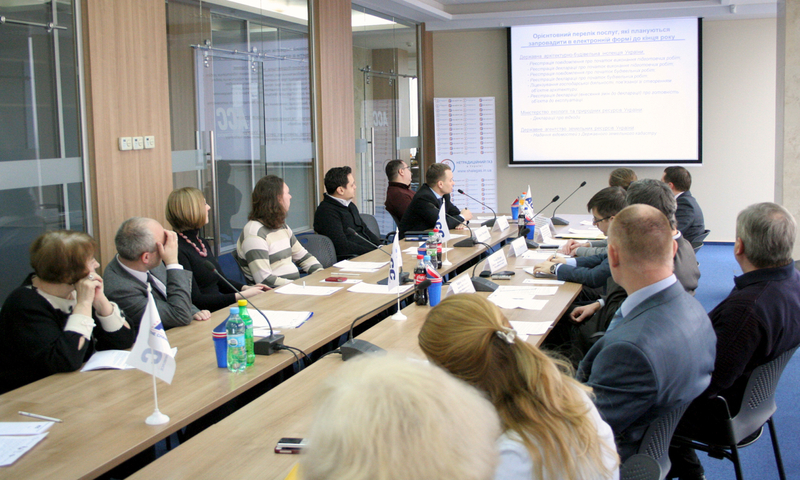 In March, 2015 within the Unconventional Gas Institute Project run by Shell Exploration and Production Ukraine Investments (IV) B.V. together with British Council Ukraine a round table on the improvement of environmental permitting procedures in oil and gas industry was held. During the event the first results on the introduction of e-services in environmental permitting procedures were presented. State Agency of Electronic Governance of Ukraine in cooperation with the Ministry of Ecology and Natural Resources of Ukraine develops the system for electronic submission of waste declaration as a pilot project on electronic environmental permitting procedures. According to the representative of the State Agency of Electronic Governance of Ukraine Danylo Molchanov, electronic system will incrеase the transparency of the waste declaration submission procedure, allow the submission of declaration during any time of the day or week and tracking the progress of declaration registration, as well as improve the accessibility of the waste declaration archive. In the future the electronic system could be scaled up and will also include the option for the submission of the waste permit and other environmental permits online applications. «Introduction of electronic tools will promote the development of efficient environmental permitting system. In fact, e-services foresee not only electronic applications using internet, but also obtaining different approvals and conclusions required by law using systems of electronic collaboration between different state authorities, electronic systems for tracking the application process progress and improvement of the access to the environmental information via open permitting documents registers» – comments on the initiative Mykola Shlapak, the consultant of Unconventional Gas in Ukraine project. «The development of such systems takes time and demands financial support, however their effective operation will fully compensate the cost due to improved business climate and significant reduction of time needed for permitting procedures. 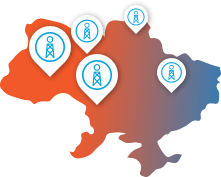 Besides, electronic services will improve the transparency of permitting procedures and reduce the corruption risks», – adds Kyryl Tomlyak, director of LLC KT-Energy and Head of Unconventional Gas in Ukraine project. Introduction of electronic services in the area of environmental protection will help to improve and streamline permitting procedures for the oil and gas industry. Electronic systems for obtaining permitting documents will speed up the submission and registration of applications and additional documents and will simplify the collaboration between different state authorities during issuing of approvals and conclusions as well as provision of other documents demanded by law.